Where are the human qualities in our lives today? The word anthroposophy originally points to the wisdom (sophia) that is woven into our development as human beings (anthropos). As a spiritual path, it is unique in being research-based, an invitation to shared inquiry rather than a revelation to be believed. At the same time, Steiner and anthroposophy are increasingly well-known for applications in practical life: complementary medicine, Waldorf education, biodynamic farming, Camphill communities centered around special needs, arts and art therapies, and far-reaching social innovations. Our sister site rudolfsteiner.org presents the ongoing research and applications in detail. Our programs and groups can introduce you. As big as humanity itself, anthroposophy helps us renew our confidence in being human. Visit our sister site rudolfsteiner.org for a full exploration of the life and work of this modern renaissance thinker and activist. His research into the essential human nature of body, soul, and spirit, and his consequent insights into humanity's evolutionary past and future, provide both resources for personal growth and seeds for renewal of human civilization in the global era. 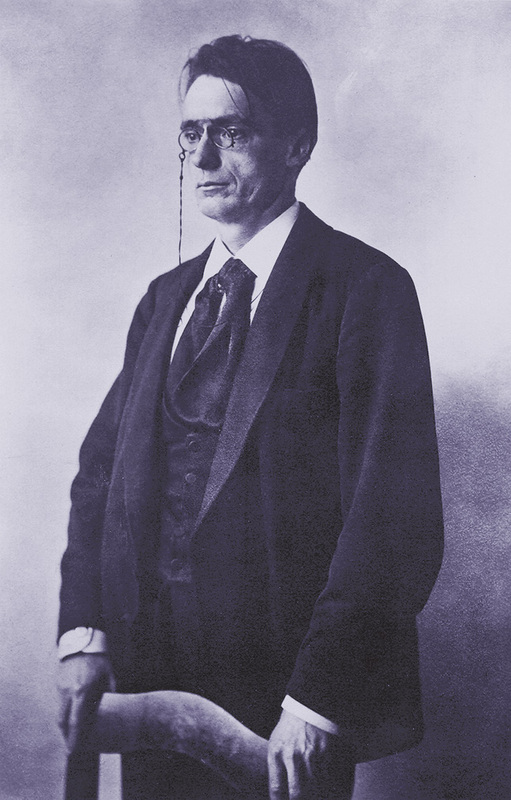 The Anthroposophical Society in America (ASA) is one of many national societies that further the work begun by Rudolf Steiner (1861-1925) and developed by thousands of colleagues since. These societies are joined in the General Anthroposophical Society based at the Goetheanum in Switzerland. As well as being the center of the Society worldwide and of the School for Spiritual Science, the Goetheanum is a unique architectural work and a busy research, arts, and cultural center. Many of its programs are in English as well as German and other languages. The ASA’s mission, governance, and annual reports are linked here. Our offices are at Rudolf Steiner House in Ann Arbor, Michigan; the house is a hospitable site for gatherings and retreats. Groups and branches of the ASA are found in 40 states. At the heart of the Anthroposophical Society is the School for Spiritual Science. The School is organized into departments or “sections” for the purpose of conducting spiritual-scientific research within various professional fields. The Steiner or anthroposophical movement is active worldwide in many fields. Our sister site rudolfsteiner.org is gathering together extensive information on the core ideas and organized initiatives that inspire and manifest this movement for human cultural and social renewal, along with groups carrying them. and the Anthroposophical Society itself. An undertaking unique to the USA is the Anthroposophic Prison Outreach, based also at Rudolf Steiner House in Michigan. Our members' magazine being human highlights several initiatives in each issue, from the House of Peace in Ipswich, Massachusetts, to the True Botanica pharmacy in Wisconsin and its Lili Kolisko Institute for Anthroposophic Medicine, to Elderberries Threefold Café in Los Angeles. Past issues of being human are available online. The Anthroposophical Society in America is a membership organization. Members receive the magazine being human and special email communications. US members are also members of the General Anthroposophical Society at the Gotheanum in Dornach, Switzerland. They become eligible after two years to apply for membership in the School for Spiritual Science founded by Rudolf Steiner and its professional sections. We are a not-for-profit corporation sustained by membership contributions, unrestricted donations, major giving through the Michael Support Circle, and legacy gifts. We also accept gifts designated for many specific activities. Our magazine being human reports on “personal and cultural renewal in the 21st century.” Departments include initiatives, arts & ideas, research & reviews, and news of the Society, as well as a visual arts gallery and biographical sketches of individuals who have died.